solution to build your accordion menus. Experience total control over the menu’s settings and design. Reliable, flexible and intuitive backend. You don’t have to think about any technical details, the interface will help you. You won’t believe how easy it is. Change all the details that really matter in typography and style easily. 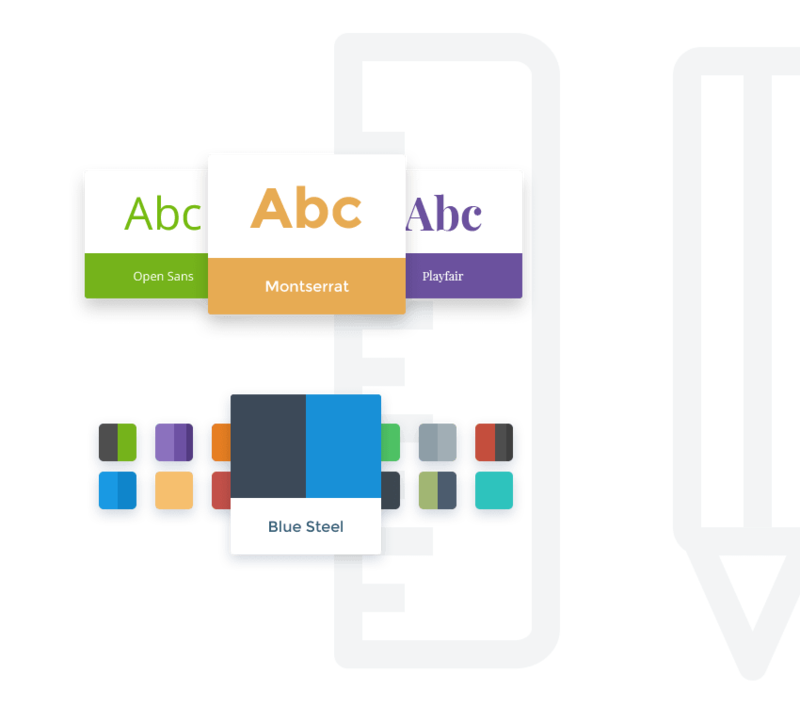 You can pick fonts and styles for your layers, navigation & other elements. Our theme builder makes it easy for anyone to design beautiful menus in minutes. Every theme comes with own settings and with own skins. The success for your webshop largely depends on the navigation system. Your future customers want to quickly find and browse among your products. It's time to grow your business with the new dimension of navigation. Specialized features for ecommerce? Sorting the products into categories? VirtueMart, WooComerce,redSHOP, HikaShop, Tienda support? No problem. Accordion Menu is delivered with very detailed documentation, describing all settings with screenshots and examples. All of our products include the same reliable, structured codebase. This means that all of our extensions come packed with a host of awesome features right out-of-the-box. Take full advantage of the latest and greatest web technologies. These web standards offer more flexibility in creating extensions. Use settings to get up and running in minutes and start customising your new plugin with just a few clicks of the mouse. Our extensions are fully compatible with all modern browsers like Chrome, Firefox, Opera, Safari and Internet Explorer. Our extensions adapt perfectly for all monitor resolutions, mobile devices and tablets. Enjoy the result in any environment. 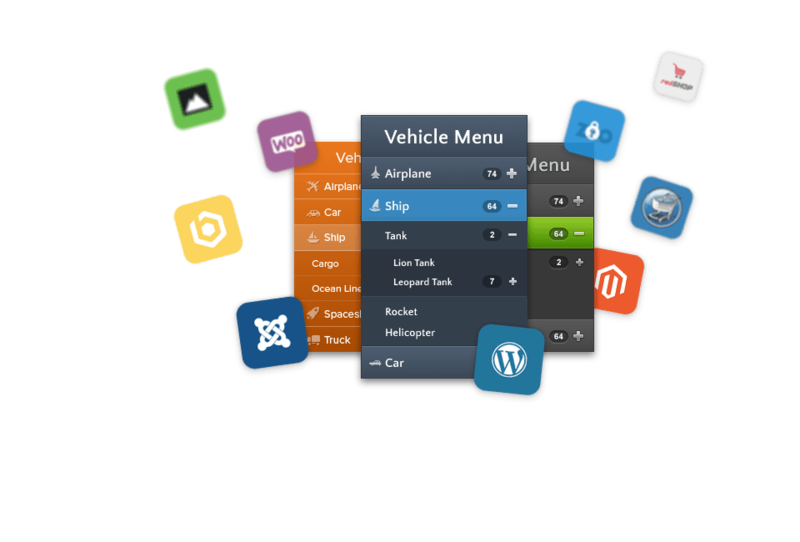 Purchase a license below and start creating next generation accordion menus in minutes. What is the difference between the payment plans? Subscription model: After paying the first necessary investment you have to pay a lower amount in every year. In exchange you get continuous big amount renewal discount. One-time payment model: After a one-time payment you get a fix period for download, support and update. After expiring your access you won't get any renewal discount. So if you would like to get access for the latest version and all of our services, you have to purchase again the whole bundle. Lifetime package never expires so you will be able to download it any time in the future. Important: The subscription model is not equal to the membership model. If you would like to use the Smart Slider and the Accordion Menu too, then you have to make separate purchase. The biggest difference between the bundles is the number of domain license and the length of download, support and update period. In the light of this, please check the pricing table in detail. The subscription models are much more favorable. Which installers are contained in the bundles? During your download period you have access for all Joomla modules in the bundle. (Joomla, Virtuemart, K2, redSHOP, Tienda, Hikashop, JoomShopping, MijoShop, AdsManager, Zoo and Cobalt CCK version) Only the Business and the Lifetime bundle contains the Accordion Menu for Magento. (This doesn't apply the MageBridge for Joomla) Last but not least all bundle contains the WordPress plugin installer. Yes, but it is contained in the subscription payment model. (This discount can reach even the 80% of the price.) In addition you get a 30% off discount coupon code after your succesful purchase. What happens when my download period expires? After my download period expired, how can I reactivate my account? Basically, there is no option for that, because the one-time payment model contains a fix download period without reactivation option. In the subscription payment model there is no fix download period, it can not expire, because the access is continuous. There is one exception, if you cancel the subscription. In this case you have to buy the whole bundle again. Is the renewal fee automatically charged in subscription model? Yes, but this option can be cancelled anytime. Also before charging the fee you will get a notification email. What does site license mean? You can get support on as many concurrent sites as your licenses allows. Can I re-distribute Accordion Menu license? No this is prohibited. Please take a look at our Terms of Service. Yes we have. You can earn 30% commission on each successful sale. Our program is free to join, it’s easy to sign-up and requires no technical knowledge. What kind of license applies to the modules? Version 2 or newer of the GNU General Public License.